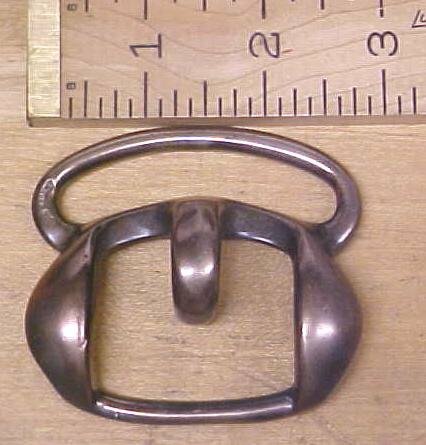 This is a nice solid bronze, large size antique hook harness strap buckle, designed for a 1.5" wide leather strap through the narrow slot, and the wide oval shaped opening is about 2.25" wide. 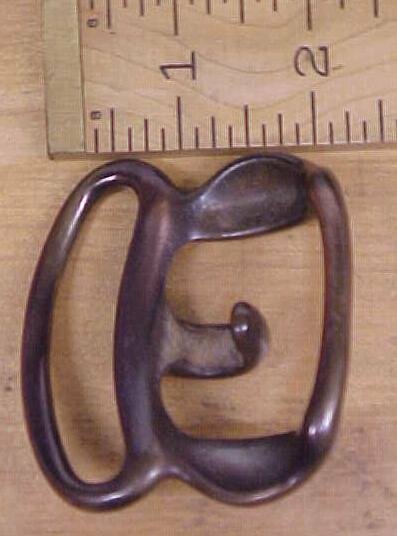 The width of the center hook is .38" or 3/8", designed to hook onto a diameter of about 1/2" diameter. The buckle is .88" thick x 2.5" wide x 2.7" long. 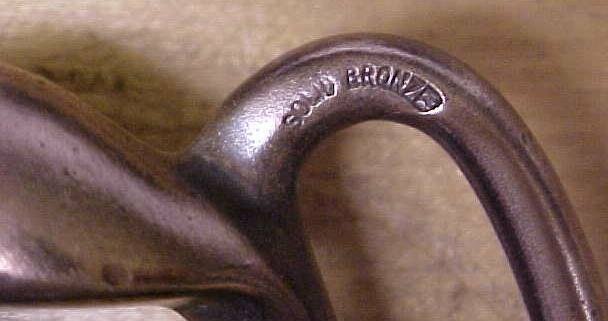 Each buckle is marked in cast lettering "SOLID BRONZE". A very hard to find early 1900's era heavy duty strap, belt, harness hook buckle! Price is per each one, you can order as many as are listed in the quantity box. 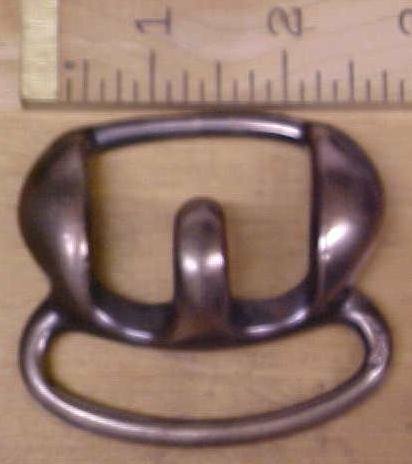 Items Similar To "Antique Horse Harness Hook Buckle Tack Bronze"